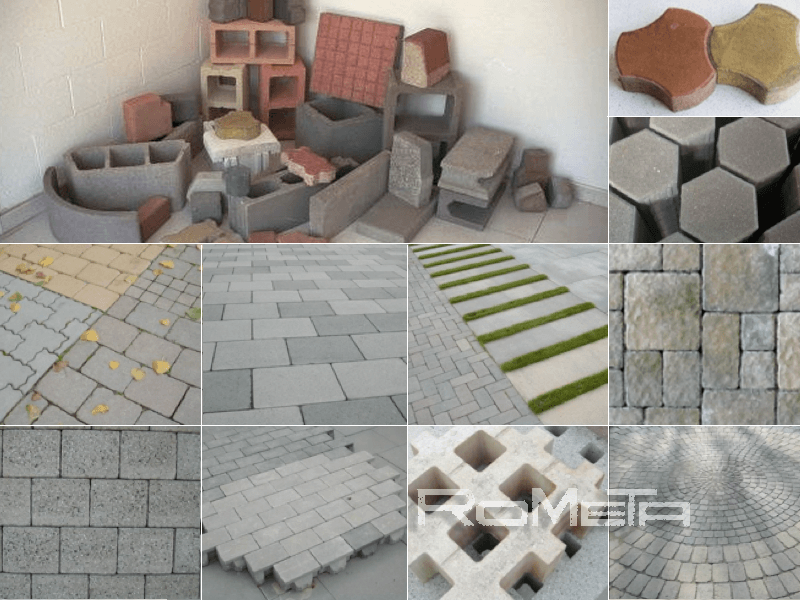 Machinery manufacturing pavers, blocks, pieces. Our technical team continues to expand the range of possibilities for a manufacturer of masonry, meet new market needs. From the production of standard parts of blocks, slabs, curbs, pavers, double layer elements to pieces fixed tumbler type. Plants for concrete blocks manufacturing. Blocks, curbs. Plants for double arid blocks. Paving and curbs. Plants palletizing. Set of blocks. Manufacture of blocks in egg layer system. Currently there are Rometa's working facilities on four continents , some with over 25 years without breakdowns. All Rometa machinery has been designed from the principles of robustness and accessibility necessary for the proper functioning of the same, incorporating the latest innovations in mechanical engineering and electronics at the time. Rometa uses elements of world-class, for electrical equipment, hydraulic ... incorporating PLC, servo motors, proportional hydraulics. Using a machine interface - Operator easy to understand visual system called ON LINE that assists the operator to program the machine.